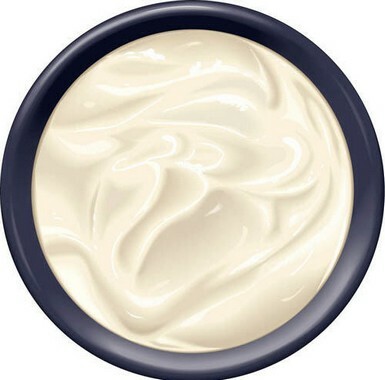 Sour cream is useful for curing a number of skin problems like freckles, hyperpigmentation, wrinkles, acne, etc. In addition, it is suitable for all skin types, even for sensitive skin. Being rich in lactic acid and fat, application of sour cream nourishes your skin, improves its texture, and stimulates collagen production. It is a fermented milk product containing lactic acid, which is a type of alpha-hydroxy acid (AHA). It is used in various skin-care products as a natural exfoliant. Moreover, it prevents premature skin aging and helps reduce age spots, wrinkles, fine lines. When using this ingredient in your skin-care recipes, prefer to use full-fat sour cream. You can either use store-bought organic sour cream or prepare it at home itself. For this, you need to mix a quarter cup of buttermilk in a cup of heavy cream. Cover the mixture and set it aside overnight until it thickens. Finally, store it in the refrigerator. • Prepare a moisturizing face mask for dry skin by mashing half a banana with the help of a fork and mixing two tablespoons of sour cream and one tablespoon of honey in it. Apply this recipe generously on your skin. After 10-15 minutes, wash it of with lukewarm water. • Scoop out the pulp of a ripe avocado in a bowl and mash it with a spoon or fork. Next, add a quarter cup of sour cream in it. Smear this skin-care recipe liberally on your face and neck. Finally, rinse it off after 10 minutes to prevent ageing of skin. • Blend about ten blueberries in a blender along with a teaspoon of sour cream. Smear the resultant paste on your face and neck. Wash it off after 15-20 minutes with warm water and follow up with a moisturizer. Follow this procedure regularly to tone up your skin. Here’s a video showing how make a homemade face mask with sour cream, oatmeal, blueberries, and honey. • To get rid of acne, prepare a facial mask by pureeing two cups of strawberries in a blender or food processor and adding half a cup of sour cream in it. You may also mix a tablespoon of organic honey. Spread this mask on your skin and rinse it off after half an hour. Make sure you wash your face thoroughly before applying this acne remedy. Follow the treatment three to four times in a week. • Another homemade recipe to cure acne involves the use of pumpkin. For this, you need to blend about 200 g of pumpkin pulp with one tablespoon of non-fat sour cream. Leave the paste on your skin for 20 minutes. • Whip an egg yolk and mix one tablespoon each of honey and sour cream. Spread this mixture on your face and wash it off after 20 minutes to nourish sensitive skin and induce skin lightening. • When dealing with blotchy skin, grate half a cucumber and add two tablespoons of freshly chopped parsley leaves and three tablespoons to sour cream. Leave this homemade recipe on your skin for almost 15 minutes. • Apply a combination of sour cream and lemon juice to make your skin soft and smooth. • Simply applying sour cream on your skin can help lighten freckles and sunburn. When using this natural cure, though, do not wash your face to remove the sour cream; instead wipe it off with a tissue and then apply a moisturizer. • Beat an egg white and add one teaspoon each of grapefruit juice and sour cream in it. Apply this facial mask for about 15 minutes to heal age spots on oily skin. • Soothe sunburn by applying a combination of milk and sour cream for an hour or so.